Garage doors are used on a daily basis and due to several factors, they are prone to damage. If broken, it does not just cause inconvenience. It could also be very unsafe for you and your family. Malfunctioning doors and door openers can also damage your car or harm your pet. Avoid these worst case scenarios by requesting for a garage door maintenance service. Our team offers this, and you can count on us to take good care of your investment, as well as your loved ones. Like any home appliance, your overhead door needs proper care and maintenance. If you have it installed by our installation technician, we can extend its life by preventive maintenance and tune-up. Garage Door Repair Medford cares for you, and we can service your door so you can keep the warranty valid. If you decide to avail this service, you also decide to care for your investment. Modern garage doors are not cheap, so it is just wise to make your money’s worth by protecting the product. Our maintenance plans include checking of all major parts of the system. The safety cables are inspected to see if they are fraying, the small parts such as the nuts, screws and bolts are also given due attention. If necessary, they are tightened. The pulley wheels, tracks and springs are likewise checked. We also provide adjustments and lubrication of tracks, carriage and other parts. 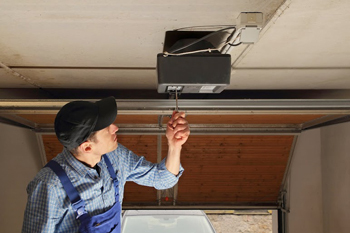 We likewise offer garage door opener maintenance. This motorized device plays an important role for easy operation of your door, so it deserves proper care and maintenance. Our technicians at Garage Door Repair Medford can service Liftmaster and any other type of opener. They understand what every part of the opener does, and safely handle each. The importance of this service is that it makes sure that all safety features are working. The sensors are adjusted, or the entire auto reversal system. 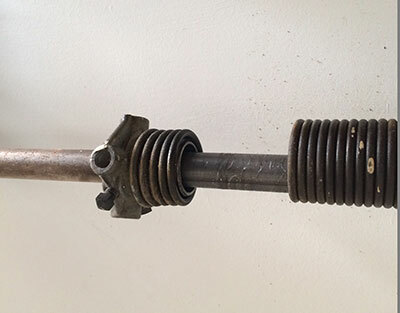 The chains, rollers and screws are lubricated as well. You have trusted us for professional garage door repair, allow us to help you extend your door’s life through our periodic maintenance program.